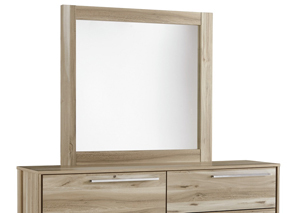 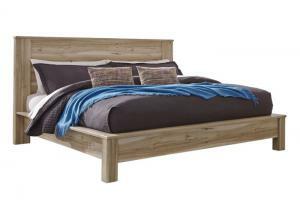 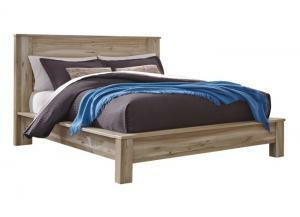 Soft beige finish over a replicated elm grain with authentic touch. 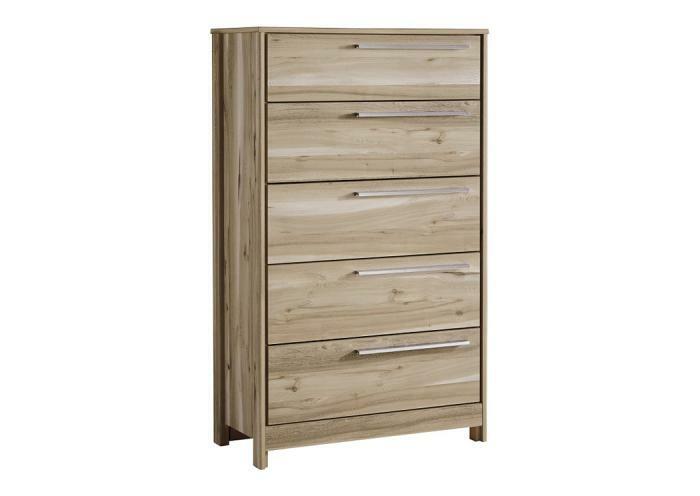 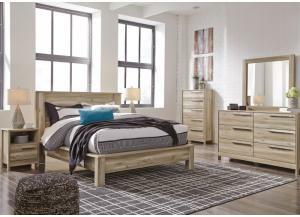 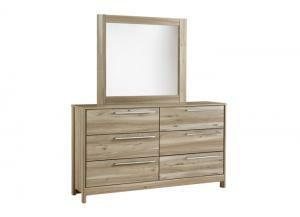 This chest features recessed side panels for a contemporary look. 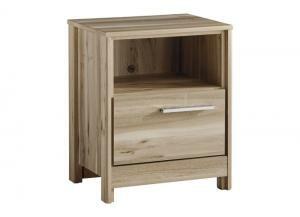 It is accented with large, chrome finished handles and offers side roller glides for smooth operating drawers.